2 bedroom, 1 bathroom Nantucket property located on 29 & 31 Pocomo Road in Pocomo. Stunning expansive harbor front multi parcel property that has been in the same family for over four generations. The property has generous harbor frontage and offers beautiful views. Ideal swimming and boating out your front door! The potential house sites are well off the main road and the gently rolling topography leads to the water's edge. The existing cottage and outbuilding are pre-1955 and are being offered "as-is". First Floor Kitchen; living area with fireplace; two bedrooms and bath. Bill moved to the island as child with his family full time in the late 70's. After graduating from Boston College, he returned to Nantucket. He has been selling real estate here since 1992. Bill took a brief sabbatical from Nantucket real estate sales in 2000 for two years, to work in New York City as a real estate project manager, overseeing the renovation and construction of homes in Pennsylvania; Eastern Long Island and New York City. He presently serves on the boards of the Nantucket New School and Strong Wings Adventure Camp as well as the Nantucket Dreamland Foundation. He is the past president of the Nantucket Association of Real Estate Brokers. He also enjoys running/triathlons and he is a fair weather fisherman. Bill and his wife, Amanda, have two young children, Louisa and Sam. 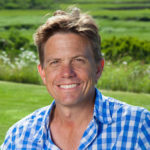 Bill brings with him knowledge and expertise in Nantucket real estate sales and vacation rentals.